for car rental companies, taxi operators and aggregators. Comprehensive car rental software with end user, driver, agency and core admin modules. To add vehicle information including registration number, insurance, number of vehicles and availability. Simple 3 step booking process for user to search the available cars, fare details, place pick time and complete booking. A comfortable ride in minutes, or get a driver on your door step.You can book for a driver at your convenience for outstation as well as local. No more worries of missing a flight. Book ride to airport anytime anywhere. User enjoys option to pay using wallet or cash.We also provide convenience to pay online after the ride. Streamline your car rental business with our booking software including reservation, scheduling, dispatch and payment gateway. Connect with digital consumers with passenger mobile app branded specifically to your business. 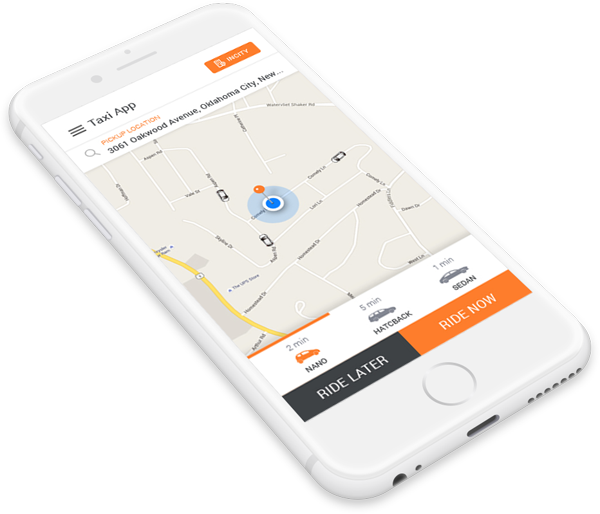 Communicate with drivers and track ride progress with our driver mobile app.